My doctor told me the best thing for your immune system is laughter. I recently took a trip, my first large adventure in two years. 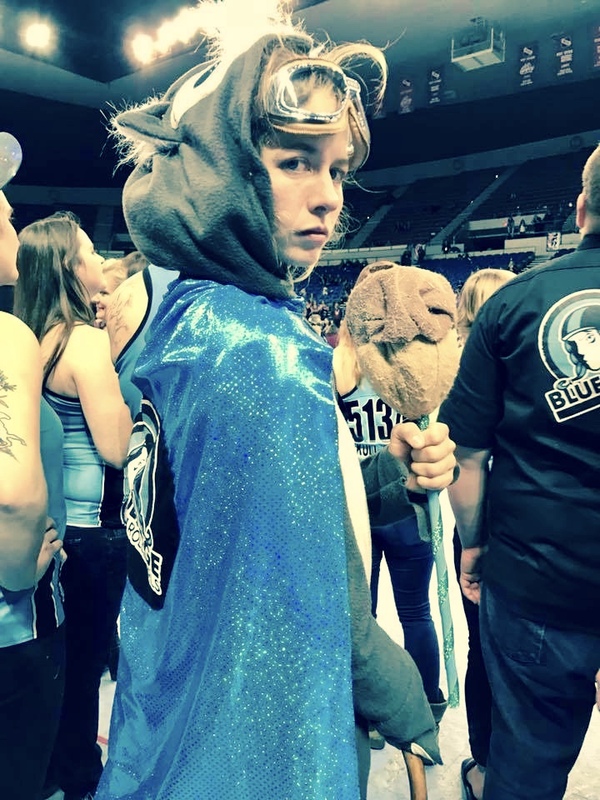 For the first time as a mascot for the Blue Ridge Rollergirls, I sat on an airplane with my closest teammates as we headed to the biggest competition of the year, the international roller derby championships. My team had made it to the finals, and I was on my way to Portland, Oregon, to cheer my heart out. From the age of two, I grew up rollerskating in the Midwest. For seven years of my adult life, I competed in the sport of roller derby as a jammer for the Blue Ridge Rollergirls. For many years I was obsessed with the game, challenging my fitness and being the best teammate I could be. That was until I was taken down by a tick bite. The hardest part about being sick is grieving my old self. Somedays it feels like a past life, when I was healthy and strong. I could work 10 hours, ride my bike, attend roller derby practice, cook a nice meal, drink beer with my friends, and wake up and do it again and again. My life now couldn't be more different. My days involve taking pills and naps. My schedule revolves around doctors’ appointments and anticipating the next crash. One evening, I found myself attending a webinar about releasing emotional baggage regarding Lyme disease. Prior to Lyme, I am not sure I ever used the word “webinar” in a sentence. Yet here I was, taking notes and increasing my knowledge of my own feelings and how to work through them. I would have much rather been playing roller derby. Yet from the comfort of my couch, I am learning. I am becoming versed in the value of compassion for myself. I am beginning to understand the importance of observing my emotions instead of riding them. If I can give my hardest feelings the space to feel, instead of judging them, they quickly dissipate. If I get caught up scrutinizing my feelings, they become stuck and damaging. On a hard day, resisting emotions requires too much energy. It is not the emotions that are harmful but rather our emotions about the emotions. Guilt for feeling sadness, shame for feeling broken. We are all human, yet we lack compassion for our own humanity. While in Portland, I watched my team, the Blue Ridge Rollergirls, battle against the competition. I cheered from behind a squirrel suit as they played with intensity, strength and smarts. They were victorious and graciously asked me to receive a gold medal along with the team. This was the time to be ecstatic, thrilled with pride and excitement. I was in fact, the mascot. But I was having an emotional breakdown. The experience of watching roller derby was a harsh reminder of how weak and different I had become. I was full of tears. I missed “Skelley-Tor,” my old roller derby self. 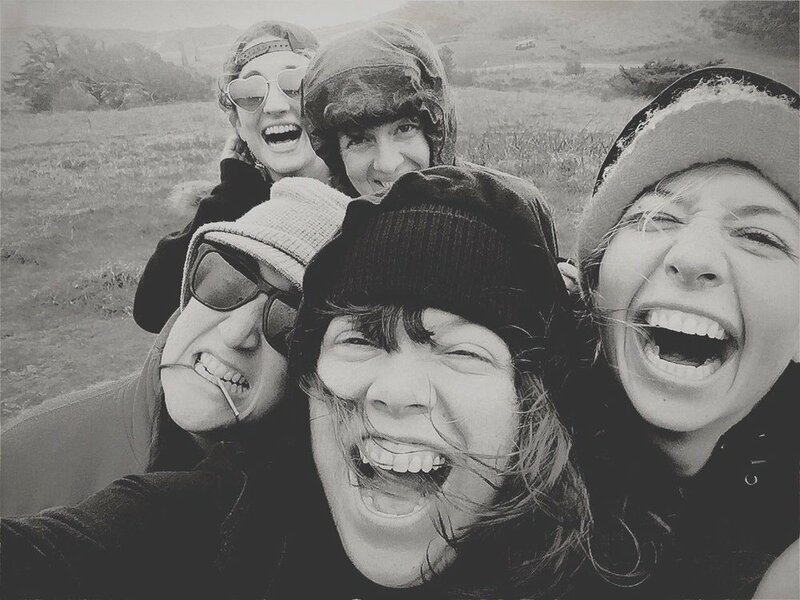 The day after championships, some of my most loved teammates and I travelled up the coast of Oregon to Astoria, a charming, magical place and home of The Goonies. Fortunately, it is extremely difficult to remain sad while keeping company with friends and sea lions. 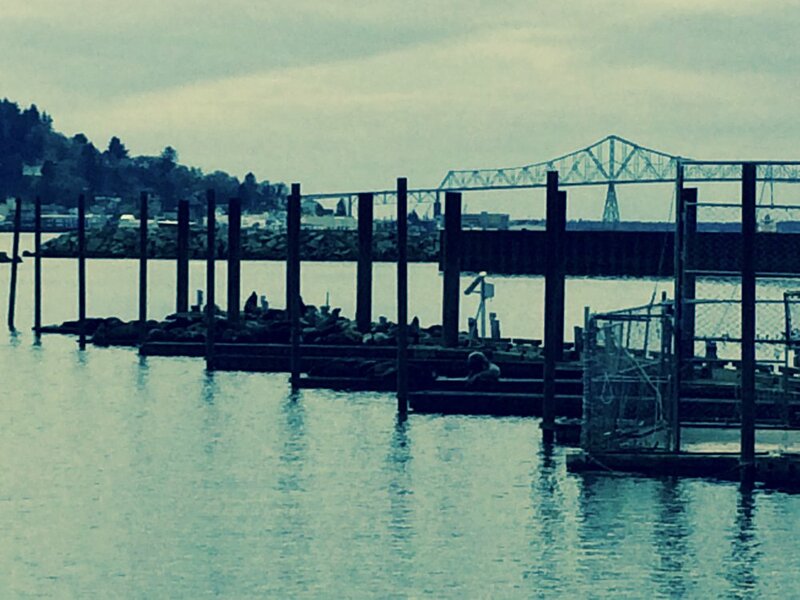 From a person who grew up on the Great Lakes, I find sea lions hilarious and mysterious. I could spend days laughing at them as they snuggle, bark, and flop around. It turns out spending time with sea lions on the Oregon coast, feeling my feelings, was the most effective antidepressant of all.